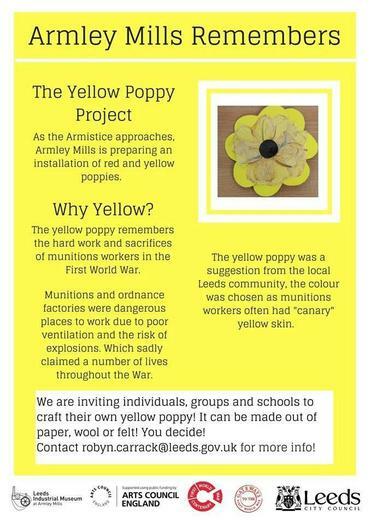 Each class is making as many yellow poppies as possible to support an exciting display at Armley Mills Industrial Museum to commemorate the Barnbow Lasses. if any parent or grandparent would like to help please speak to Mrs Evans! Do you know the story of the Barnbow Lasses?